The out-of-conference slates look good among ACC Coastal teams this season. For the second straight year, I will be grading the non-conference schedules of every Power 5 team. Grading teams’ schedules is always a bit of a subjective art. After all, it would be foolish to expect Kansas to schedule the same teams as Alabama. A team expecting to be in the Playoff picture has to schedule better than a team who can’t even expect to make a bowl game. Also, I try to take into account when the game was scheduled as much as possible. 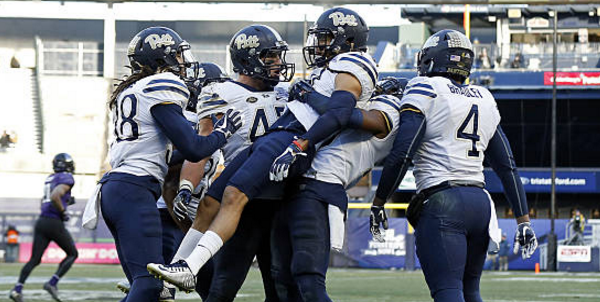 It wouldn’t be fair to expect Pitt, which is now a Playoff contender, to schedule the same as it did five years ago, when it was still in the dying Big East. Also, the ACC and SEC provide an additional challenge. These two conferences play four non-conference games each, which means they play one fewer game against a P5 opponent in conference play. It wouldn’t be totally fair to the Big Ten, Big 12, and Pac 12 to judge all five conferences on the same scale, but it wouldn’t be fair to the ACC and SEC to expect too much of them. The compromise I try to reach is that I won’t give bad grades to the ACC and SEC just because of the fourth game they play, but getting an exceptional grade takes something extra special. Just to review my format, I will grade each non-conference game that each team plays, with an explanation for that grade. Then, I will grade the entirety of the nonconference schedule overall. The Blue Devils open the season with a game against an in-state FCS opponent. I’m generally lenient towards these, so long as it’s the only true cupcake on the schedule. I am honestly a huge fan of this series that has developed these past few years. It’s a brewing rivalry between two academically-inclined schools that each currently has a coach that has upped the football cachet tremendously. As I’ll say often in this series, it’s great for college football fans when P5 schools in similar relative positions within their conferences play each other. Baylor is notorious for both its bad nonconference schedules and for scheduling its games many years in advance. When this game was scheduled, Baylor and Duke were both P5 bottom-feeders. A few years later, this home-and-home series (Duke visits Baylor next year) looked enticing as both programs were rising rapidly. Now it looks like a game between two teams falling quickly. Either way, this seems like a strong matchup for fans. Army has struggled mightily for decades (then again, so had Duke) until last year, but any nonconference road trip in November should be applauded. It’s not the best game for Duke, but it’s a solid one. How to grade Duke really depends on my expectations of the Blue Devils. Should I treat them like a team that won the Coastal a few years ago, and therefore expect to schedule like a Top 25ish team should? Or should I treat them like a middling-at-best P5 team, which is what they’ve been for most of the recent decades, aside from a small blip in four of the past five years? I’ll opt for the latter, but only because this schedule has two P5 opponents and only one true cupcake. Playing a good FCS team on five days’ rest after what should be a hard-hitting season-opener is a risky proposition. Ask Virginia Tech how that worked out in 2010. When this game was scheduled, the Knights were less than two years removed from a huge Fiesta Bowl win and had backed it up with a nine-win season. This was essentially a road game against a very good almost-Power conference team, and UCF’s collapse since then isn’t Georgia Tech’s fault. 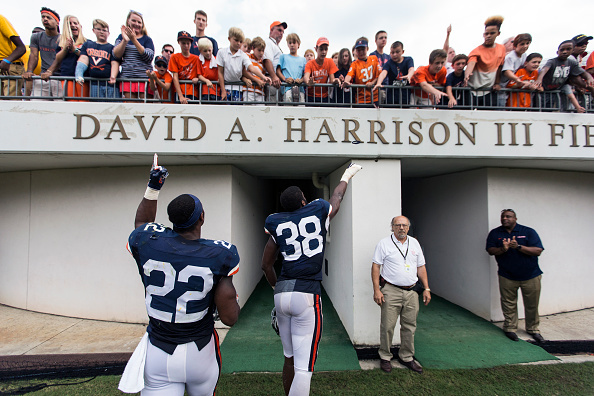 A rivalry game against a team expected to challenge for an SEC division title is nothing to look down on. The Yellow Jackets will be playing two of the three SEC East favorites, and their only FCS opponent is 33-6 over the last three seasons. That’s a game that Georgia Tech should win, but is far from a gimme. Add a true road game against a team that’s supposed to be a good Group of 5 program and there is really nothing at all to fault about this schedule. FCS team to start the season. Nothing special here. This is interesting. It’s a road trip against the Sun Belt’s best program for over five years now. I think that Miami is way out of the Red Wolves’ league, but I do wish that more decent P5 schools would be willing to schedule home-and-homes with the better Group of 5 schools. Miami gets more major props from me for this. This is also part of a home-and-home series, this time between Miami and one of the most consistent MAC programs. These games are often seen as high-risk low-reward for good P5 teams, so it’s great that Miami scheduled this. Even though this is part of the ACC’s deal with Notre Dame, playing the Irish in November (instead of playing an FCS team like many ACC and SEC schools do now) is nothing to scoff at. What this schedule is missing in top-level must-see games it more than makes up for with quality games. The Hurricanes play only one true cupcake, and both of its games against Group of 5 schools are against teams that will be expected to keep it competitive. This is a solid schedule, even if nothing jumps off the paper as being amazing at first glance. Cal has struggled in recent years, but it’s hard to complain too much about a game between P5 schools to open the season. ODU may have only made the jump to FBS three years ago, but the Monarchs have already posted a ten-win season. This might be just a cleverly-disguised recruiting trip into Virginia, but it’s also a rare home-and-home against a decent Group of 5 school in which the P5 team plays the away game first. Props for that. This should actually be a fun game to watch when we get to it, especially since North Carolina’s frontloaded schedule could leave the Tar Heels very underrated coming into the game. Either way, it’s a Coastal favorite playing a second P5 team (yes, Notre Dame counts as P5) out of conference. 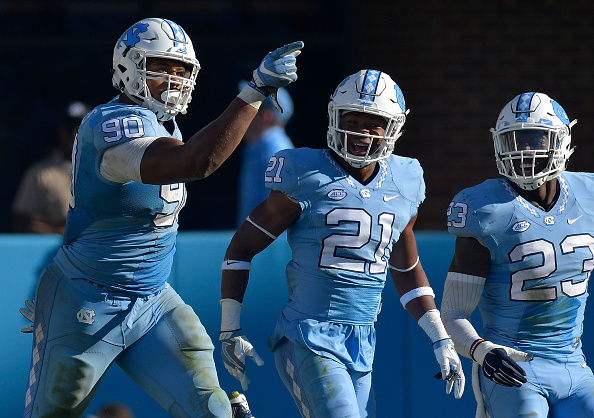 UNC saved its FCS game for November, to prepare for Rivalry Week. I know that most SEC and several ACC schools do this now, but I still hate it. November is the time to play quality football, not take second byes in the guise of actual games. Pitiful November FCS game notwithstanding, this schedule includes two games against P5 opponents and a road trip to a solid Group of 5 school. This is a good nonconference schedule, even for a P5 team expected to challenge for a division title. This is a very risky FCS game. Youngstown State reached last year’s FCS National Championship Game and is coached by someone who could have a P5 job at the drop of a hat if he wanted one. There are Group of 5 teams that are bigger cupcakes than YSU. Penn State didn’t look like a world-beater when this game was scheduled, but the Panthers get a nonconference in-state road tilt against an expected Playoff contender. This should be a lot of fun. How do you follow up a road game against a Playoff contender? By facing another one at home the following week. If Pitt can win both of these games (which seems highly unlikely, but you never know), we’ll see the Panthers on top of most people’s Playoff projections very early. The Owls were probably meant to be a game against a perennially bad team to ease the transition between two P5 nonconference games and ACC play. Then again, Rice miraculously won Conference-USA four years ago, so there’s always a slight danger in facing the Owls. This is as challenging a nonconference schedule as anyone in the ACC has, with the exception of Florida State. Pittsburgh will need this nonconference SOS boost as the Panthers avoid all three of Clemson, Florida State, and Louisville in cross-divisional play. This schedule should set up this pretty talented team to be a possible Playoff dark horse, and at the very least a legitimate New Years’ Six bowl contender. Full credit to both teams for this. I love it when P5 teams of equal stature play, and that includes two teams expected to finish at the bottoms of their respective divisions. I also like this scheduling move by Virginia. UConn is a solid enough program, but this is also a winnable game, and one the Cavaliers desperately need to even dream of making a bowl game. I’m sure the Broncos were expecting Virginia to be a much better team when this game was scheduled. It’s sad that Boise State finally found a P5 team to schedule a home-and-home with, and it’s not even one that will help the Broncos’ SOS in the slightest. Still, I respect Virginia for scheduling it. This schedule has only one P5 opponent, and not a very good one. It’s also probably too difficult a schedule to get the Cavaliers to a bowl. Props for trying, but this isn’t a hard enough schedule to be impressive nor is it easy enough to move the program forward. It’s at that awkward stage in the middle that isn’t really good for fans or the school. We’re getting a great game towards the end of the opening weekend in a neutral site between two geographically-close schools. Each school is expected to finish towards the top of its respective conference, so this should be a great way to prepare us for Labor Day and its weekend-capping game. The Fightin’ Blue Hens will make the trip down to Blacksburg, but I can’t see them fighting much once they arrive. This budding rivalry has seen ECU win two out of the last three games and three of the last eight. It’s nice to see a Power 5 team stick with a rivalry against a team from outside the power conferences. I’m impressed. This is a second game against a solid Conference-USA team. Power 5 teams rarely get enough credit for scheduling these games, without which the Group of 5 teams would just not have any chances to impress. There’s only one P5 team on this schedule, and not against a great one. The Hokies also won’t play either Louisville or Florida State in ACC play. If Justin Fuente wants to make his team into a Playoff dark horse, he does not quite have the schedule for it, but Virginia Tech’s two Conference-USA opponents are both solid programs that could turn out to be SOS boons.